I got to Santa Barbara Thursday night after 12 hours of traveling through three airports. I almost missed my connection in Dallas, made it with only five minutes to spare, but my two pieces of luggage did not arrive with me. Finally this afternoon they caught up with me and all is well. I spent the night at the home of Mary Becker who lives by the ocean and I had a 45 minute walk today on the beach as the tide began to come in, lapping at my feet. Surfers were riding the waves just off shore and the mountains, nearby in the west, were a beautiful site as I walked. This evening the Pacific Life Community retreat began with a supper at the Las Casa de Maria Retreat Center. It's a beautiful 26-acre site with orange trees, beautiful vegetation, and a stream running through it. After dinner we had introductions of the Catholic worker communities from places like Los Angeles, Spokane, and Vancouver in Canada. The stars of the evening though were the Mormon Workers from Utah, a group of young people who have started an activist publication and are exploring the opening of a community of hospitality for the poor like the more traditional Catholic worker communities. In the morning we meet again for more sharing and then just before lunch John Dear and I will speak about the things we have seen and heard as we both travel. In the evening we all board a bus and go to a local church where John and I will do a more formal presentation to the greater community. Jackie Hudson, one of the Dominican plowshares nuns who recently spent a couple years in jail for a disarmament action, is here from the Ground Zero community that regularly protests at the Bangor submarine base in Washington. There are some real great folks here, people who have long been resisting war and offering hospitality and care to the poor. I am lucky to have been invited to gather with such souls. 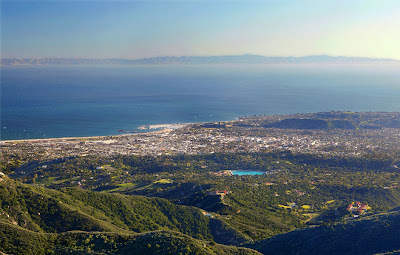 I leave in the morning for Santa Barbara, California to speak at a series of events over the weekend being organized by the Pacific Life Community (PLC). The PLC is a faith-based network of west coast activists, many are Catholic Workers, who are leaders in the resistance to war and violence. They feed and house the poor as well as doing excellent peace work. 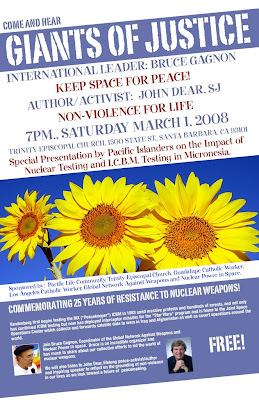 It will be an honor to be with them, and the Catholic priest John Dear, for these events. 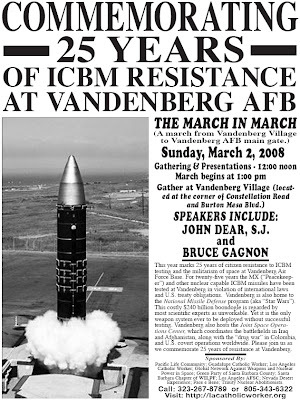 On Sunday there will be a march to Vandenberg AFB, which like Cape Canaveral in Florida, is a major launch base for Star Wars. Vandenberg played a key role in the Pentagon's anti-satellite (ASAT) test last week that hit the falling spy satellite. Last night I did a radio interview on a station from Jamaica. This was a first for me and it was exciting to see their interest in our work to stop this new arms race in space. It was also great to hear that they had closely followed the ASAT test issue and wanted to analyze it. I am encouraged by this as one of the goals of the Global Network has always been to expand the consciousness of people around the world about the nuclearization and weaponization of space. It helps to know folks everywhere are paying attention! Participation in our 16th annual Global Network space organizing conference in Omaha, Nebraska on April 11-13 is growing. We now have people coming from at least 12 countries and it has been a great challenge to try to find places for so many excellent leaders to speak. A great problem to have. Right now we are waiting to hear if a delegation from South Korea will be able to join us. Their group is called SPARK and they recently affiliated with our organization. As I type this I am watching the MSNBC TV program called Hardball where two Democratic Party Congressmen are being interviewed about their support for Clinton and Obama. Both of them are former military officers and one of them in particular, a former Navy admiral, is calling China our next great enemy that we must prepare for. The Democratic party is now becoming so dominated by these former military people and they are helping to drive us further into endless war. One major reason to call for the abolition of all war is that in the "technological age" it is civilians who do the majority of the dieing. As we are seeing in Iraq today, where over 1.2 million people have died since the U.S. illegal and immoral invasion of 2003, it is the innocent who are perishing. In WW I, for every 100 deaths, 95 were military and 5 were civilian. In WW II for every 100 deaths, 33 were military deaths as compared to 67 civilian deaths. Hitler used his V-2 rockets to strike the cities of London, Paris, and Brussels. Clearly civilians were the targets. The U.S. introduced the mass fire bombing of cities like Dresden and the atomic bombing of Hiroshima and Nagasaki. Hundreds of thousands of civilians lost their lives. Estimates for the total casualties of WW II vary, but most suggest that some 60 million people died in the war, including about 20 million soldiers and 40 million civilians. Gino Strada, war surgeon and founder of Emergency Italia, with extensive first-hand experience in many modern war theaters, has argued that over 80% of casualties in modern high-tech wars are civilians. There can be no such thing as a "just war" any longer. How could wars that kill innocent people who are not engaged in the fighting be called "just"? 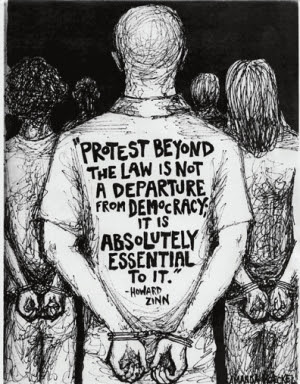 We must call for the abolition of all war. It must be outlawed for a nation to spend their national treasury on weapons systems that end up killing women, children, and the elderly. Like the abolition of slavery in the U.S., the abolition of war is a huge struggle that appears impossible to reach. But history reveals that such changes are possible if the people are single-minded and determined over time. 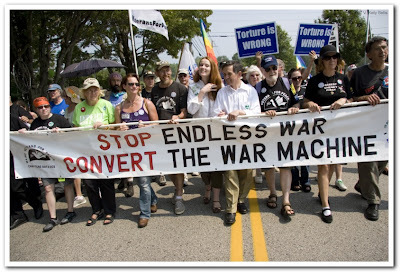 We must call for the conversion of the military industrial complex as our first-step in the abolition of war.